It has been a long year for Country-Punk fans, because of BOB WAYNE’s unique sound it could only be Bob Wayne himself putting an end to the waiting. His incredible catalogue of home recordings, studio outings and zip-lock-baggied CDs sold from his trunk have all culminated in landmark releases with People Like You Records. His music encapsulates and captures just what his life’s work has been about, and will be about, presenting you the music he loves and lives. 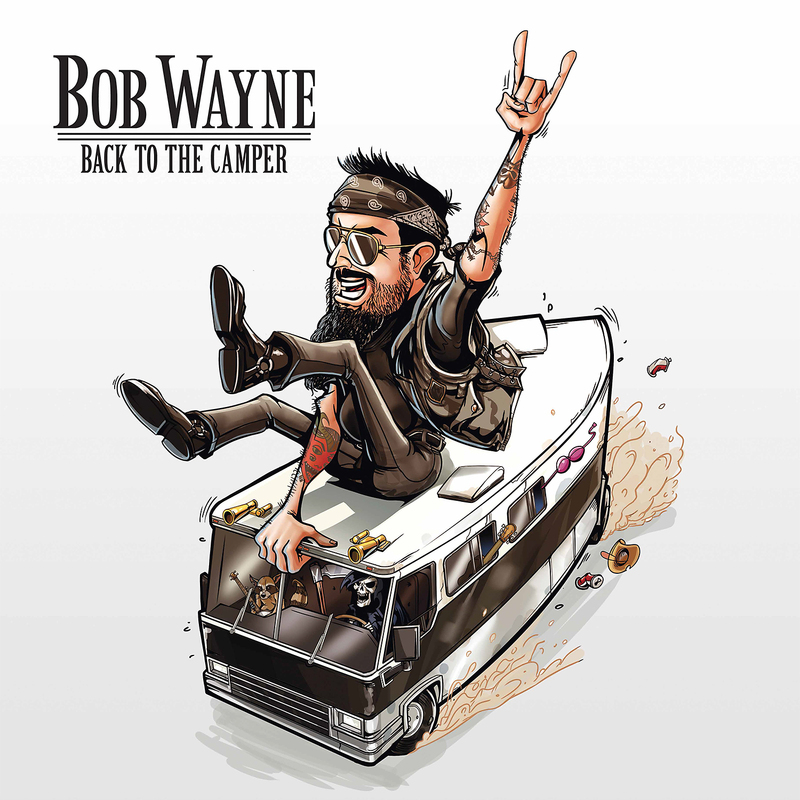 ‘Back To The Camper’, Bob’s 3rd album for People Like You Records will be released on 21st of April 2014. It’s a journey back to the roots for him one which he’s not going to make alone, besides his band, the Outlaw Carnies, Country Legend Red Simpson and Country Star Elizabeth Cook are guest vocalists on the album. It’s an ode to his lifestyle and DIT ethic. Bob Wayne carries the torch for the Outlaw Country traditions with a modern punkabilly snarl all of his own. The rampaging troubadour has left a trail of devastated dive bars, broken hearts and one-night stands across the United States and Europe. Bob is on tour approximately 356 days a year keep your eyes open he could well be coming to a town near you any day soon, in the meantime give you ears a blast with this album and hear what all the fuss is about. For further information UK press and digital. This entry was posted in Press Releases and tagged Bob Wayne Back To the Camper. Bookmark the permalink.